World War I was officially over at 11:00 A.M. on November 11, 1918. 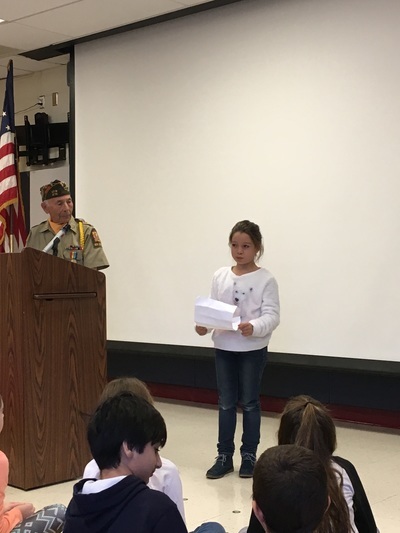 One year later, President Wilson declared this day as Armistice Day in the United States. Since the word "armistice" means truce, this day was intended to stand for peace. 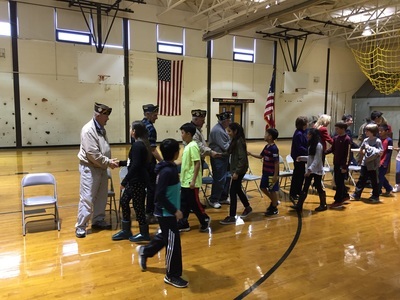 In 1938, Congress officially made it a national holiday. 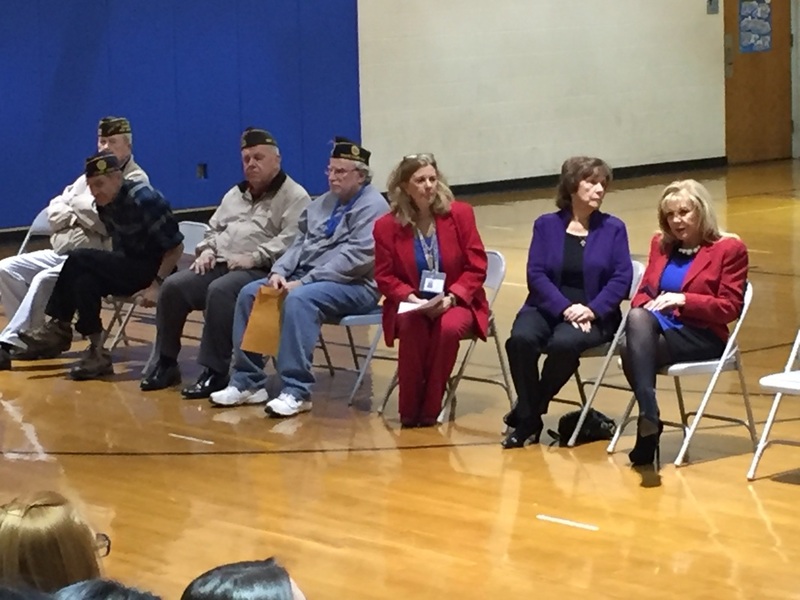 It was in 1954, that President Eisenhower changed the name of this holiday to Veterans Day. 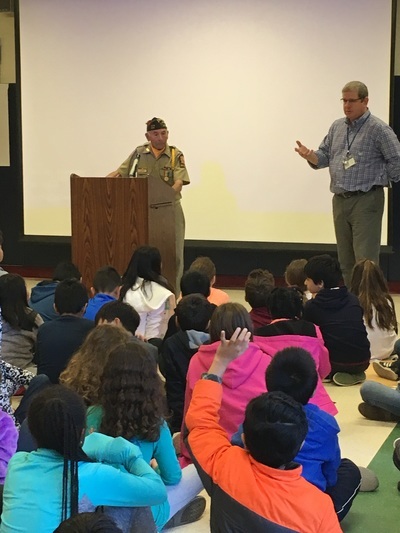 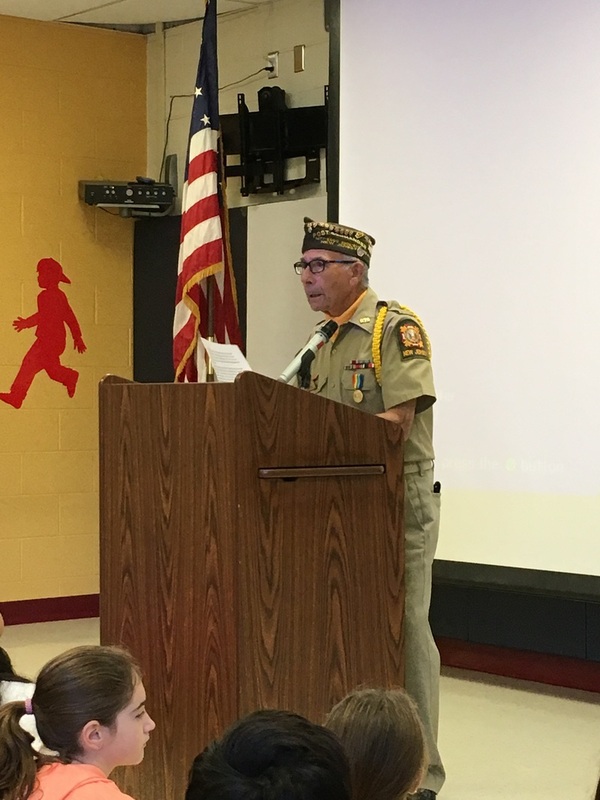 This year, in honor of Veterans Day, Mr. Hall, 4th grade teacher at Cherry Hill School, put together a wonderful presentation for the 4th Graders about Veteran's Day. 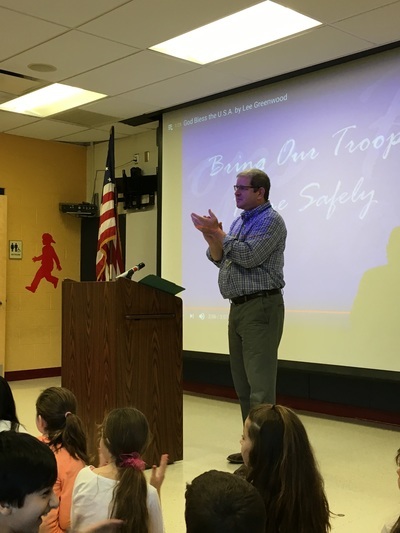 In it, he and students honored Joe Maugeri with poems, videos, and presentations. Joe Maugeri also gave a speech detailing his account of D-Day. The students received an invaluable live-history lesson. 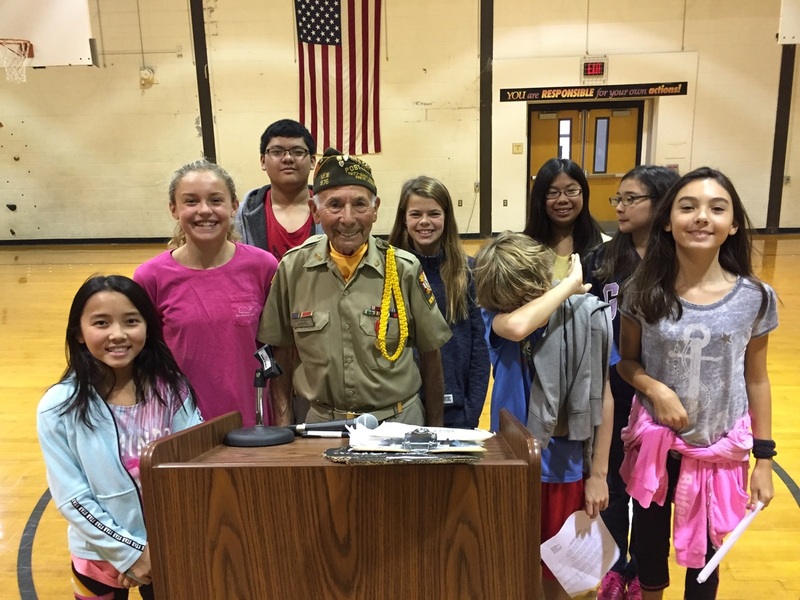 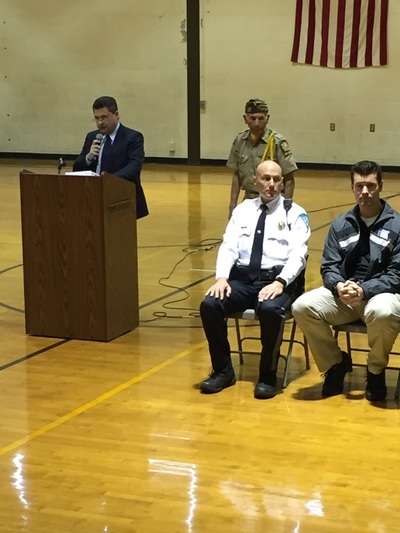 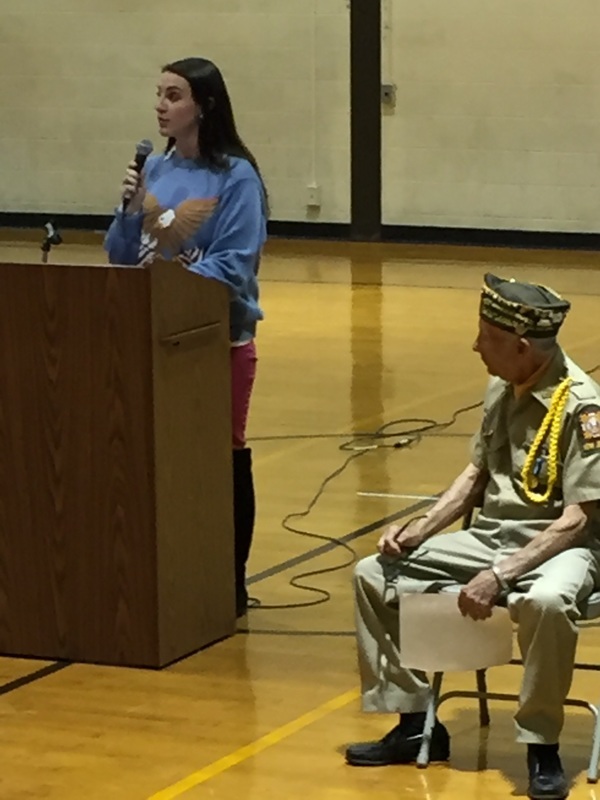 Below: photos of the presentation and a video of a student honoring the Veterans. 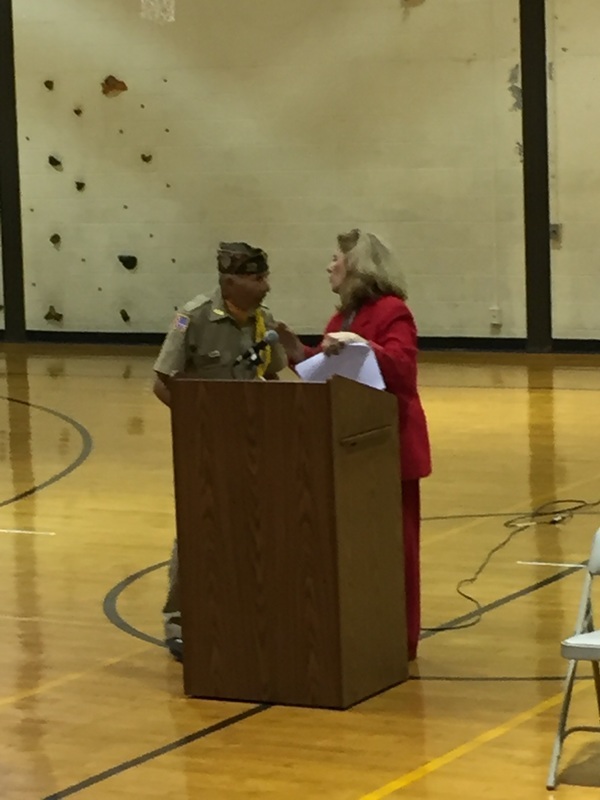 Also included are photos from the Veterans Day ceremony which was held at both Cherry Hill and Roosevelt Schools. 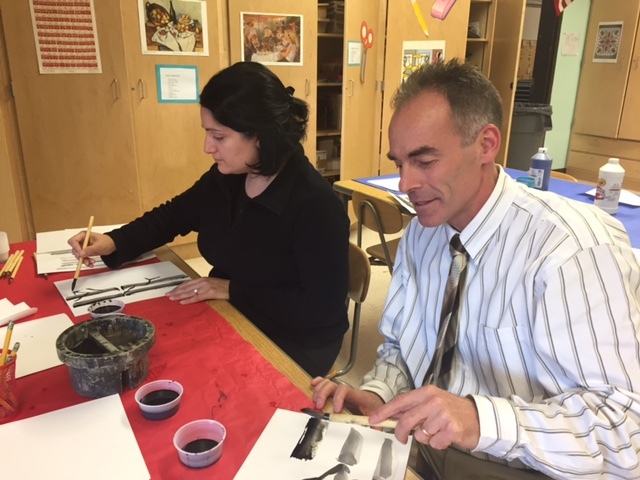 Teachers in River Edge never stop learning, developing and strengthening their craft. Throughout the fall, and continuing through the school year, River Edge teachers are taking Professional Development courses through P.L.A.Y Academy (Professional Learning Academy for the Year 2016-2017). 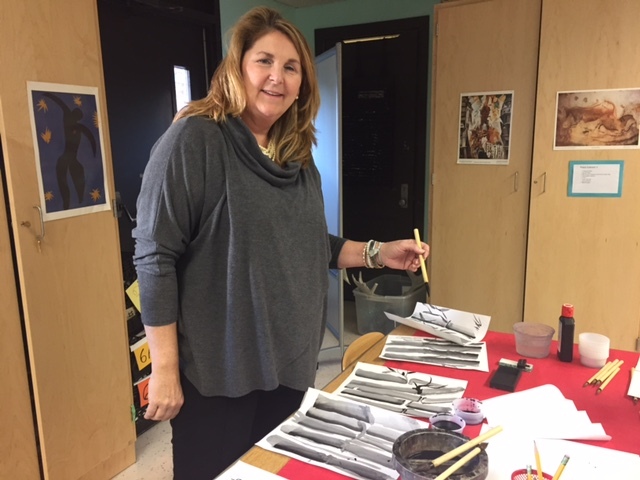 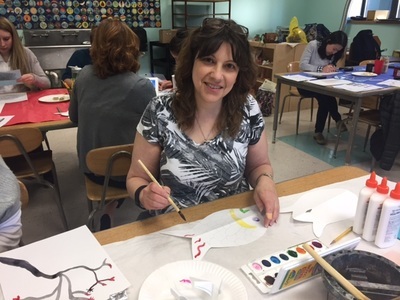 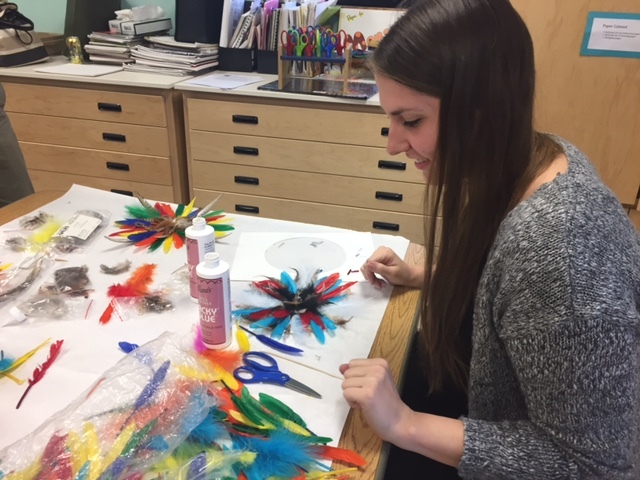 Ms. Attardi facilitated a class on Multiculturalism and History through the lenses of artists and craftsmen from diverse cultures and time periods. During each class Ms. Attardi focused on a different culture, country, or time period. 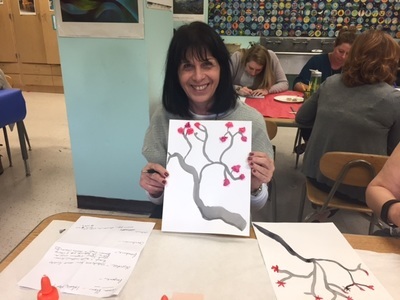 By teaching across the curriculum, teachers were be able to use what they learned to engage their students with hands on projects that will bring joy and creativity to their learning. 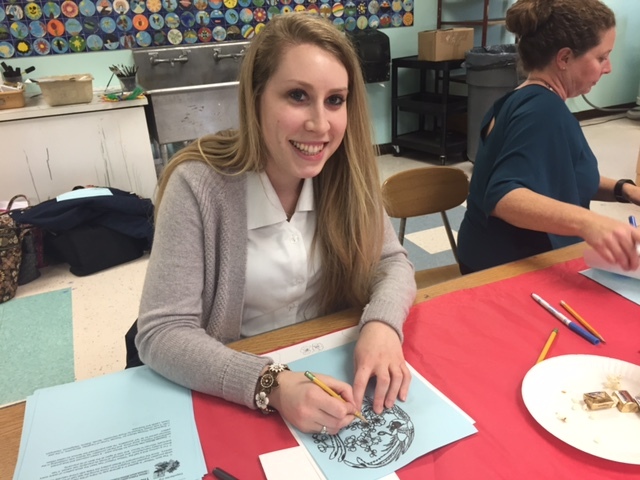 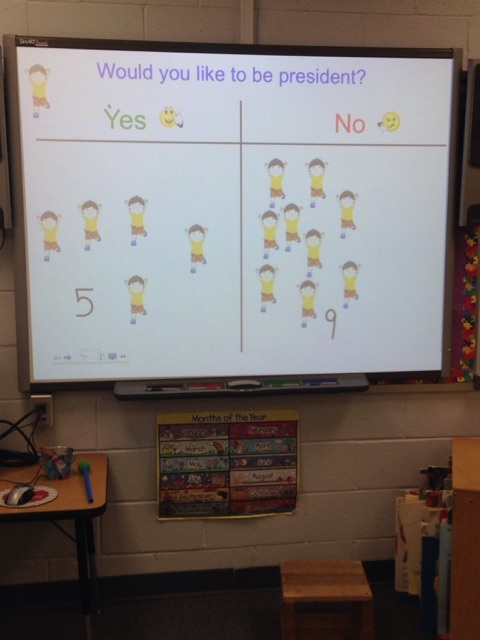 Teachers were given the opportunity to reach all types of learners including kinesthetic and visual learners. 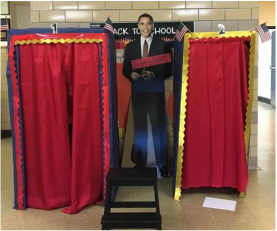 See your favorite teachers in the pictures at the right! 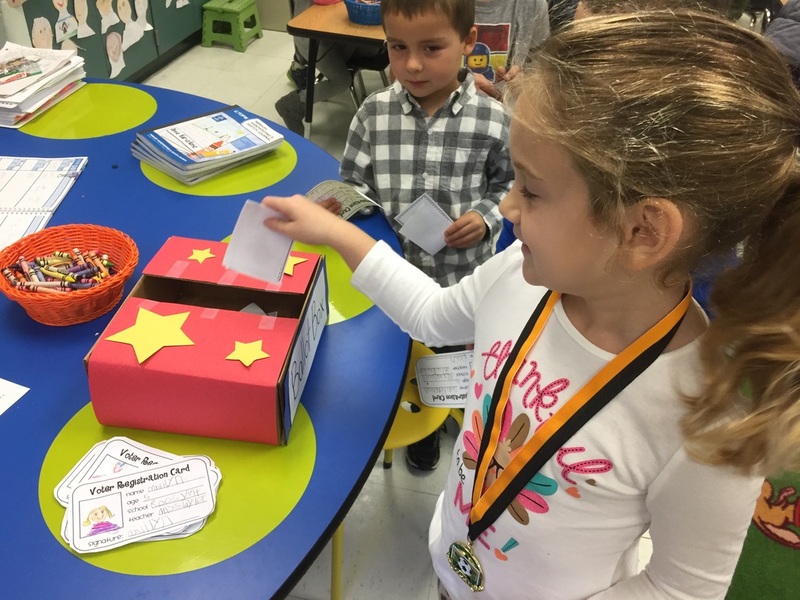 Election Day took place this month, and millions of Americans cast their votes for the next president of the United States. 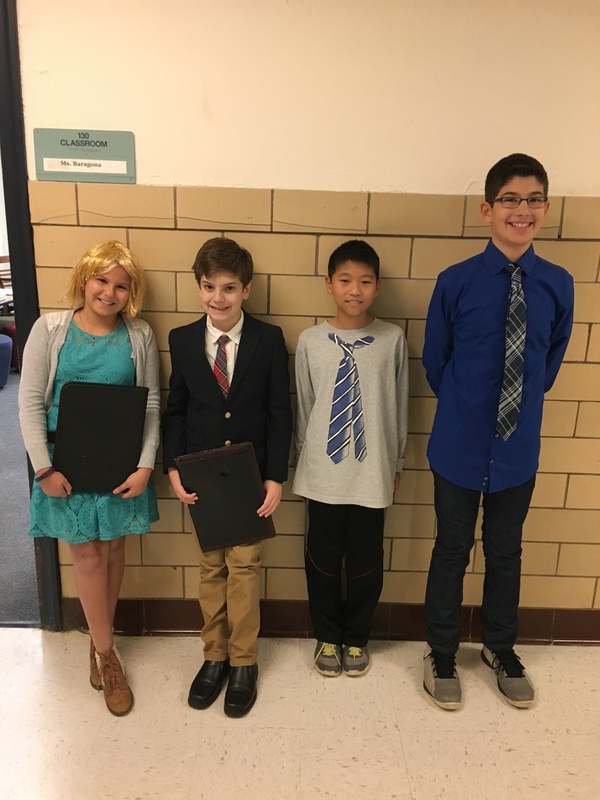 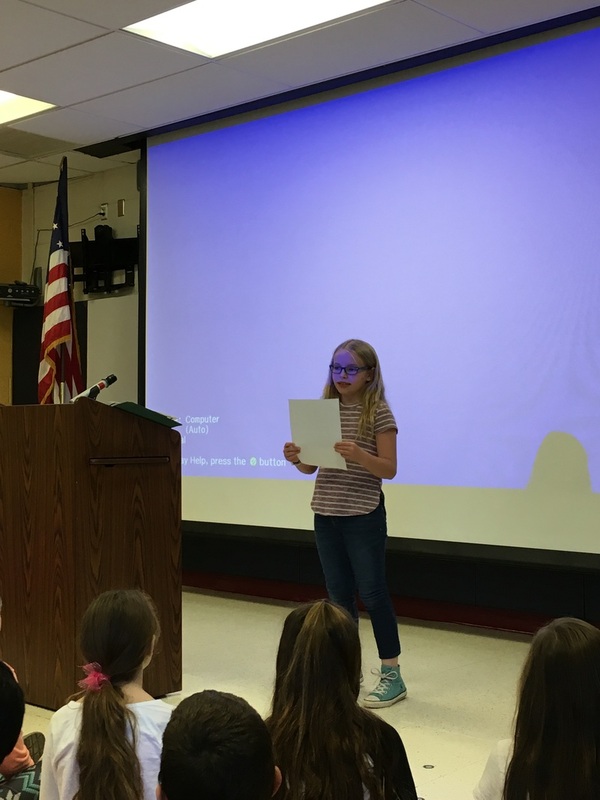 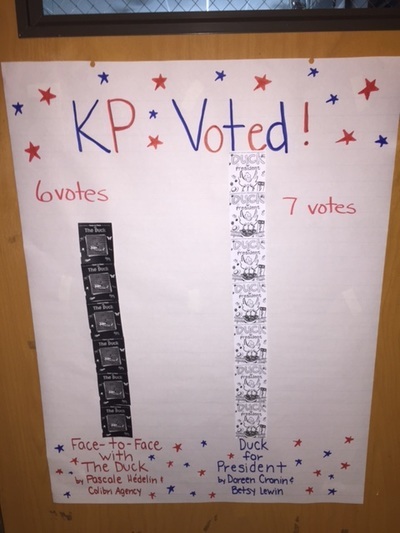 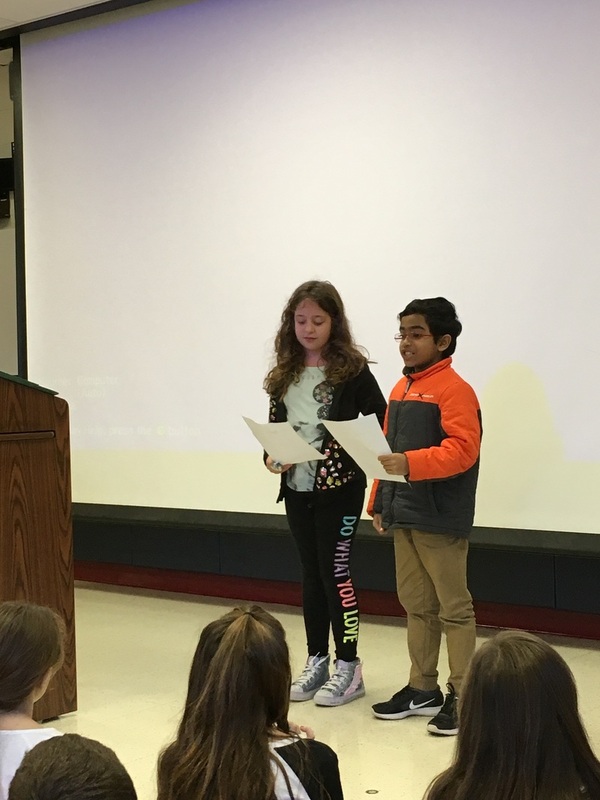 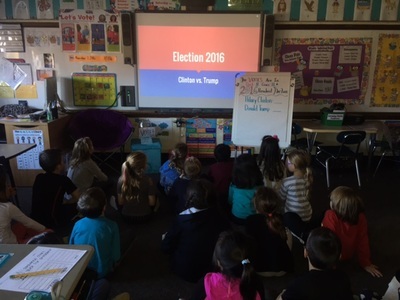 This year, students in River Edge Schools participated in a mock election where they were able to have their say about who should be our next president. 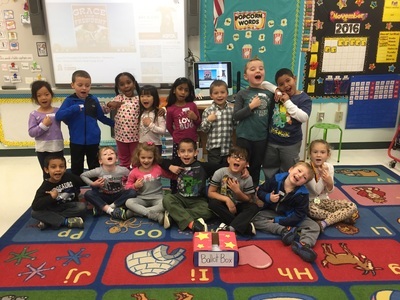 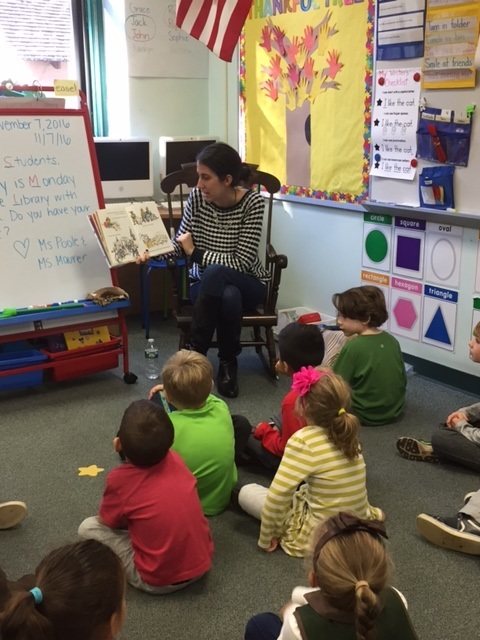 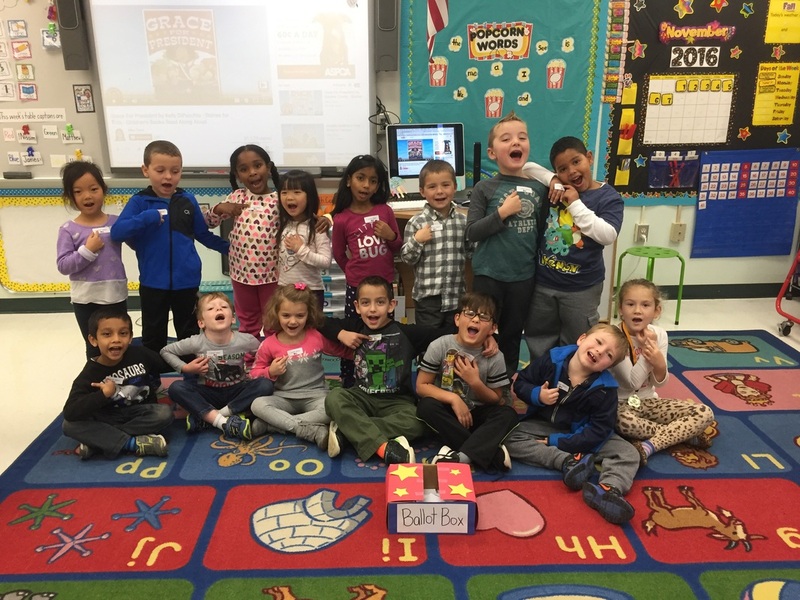 ​At Roosevelt School, Miss Taylor's class read the books Grace for President and Duck for President. They then held an election to decide who they wanted to be their next president! 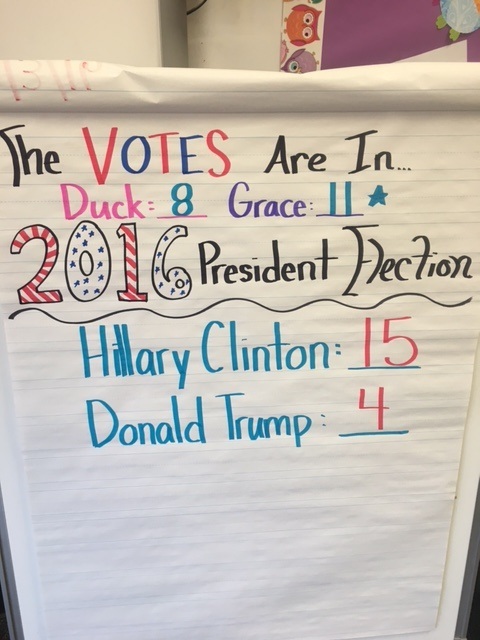 Grace won because she is a person and not a duck! 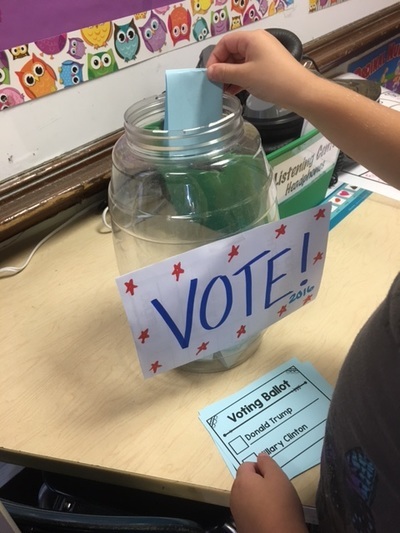 Pictures below show students participating in their future civic duties!